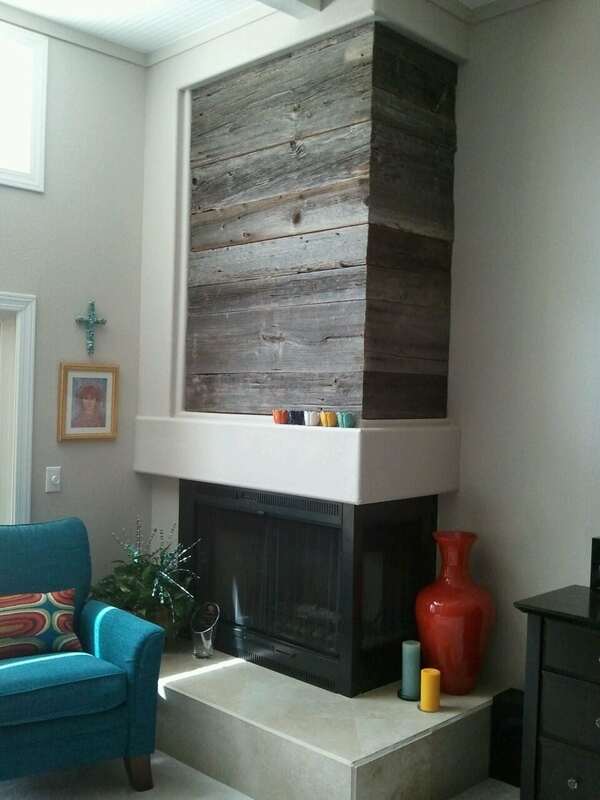 Check out this beautiful wrap around wall covering one of our customers built over their fireplace using Porter Barn Wood! Just beautiful. This is simple, elegant and a work of art. Makes an incredible eye catching texture for the space.